Many things can cause your baby’s cough, including the common cold, respiratory virus, croup, allergies or whooping cough. His doctor can recommend treatment specific to his condition, but in the meantime you can use a variety of remedies to help relieve his cough at home. 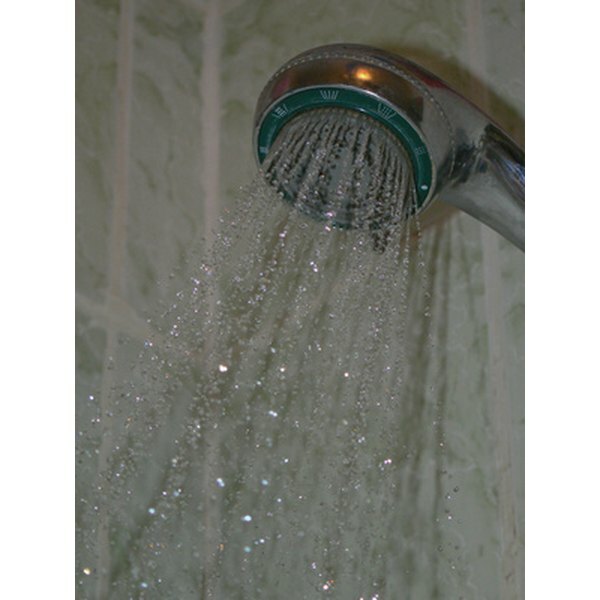 Turn on the hot water in the shower and close the door to your bathroom. Allow the room to fill with steam, and then sit in there with your baby for about 20 minutes. Kids Health states that breathing in the steam can help your baby to breathe easier, reducing her cough. To help pass the time, try reading her a book or play quietly with a toy. You can help reduce your baby’s cough by making his environment more comfortable. A cool mist vaporizer in his room can help to put moisture into the air and reduce his congestion. You should also keep him away from triggers that can make his cough worse, such as air freshener, pets and smoke. You can help relieve your baby’s persistent cough by helping her to eliminate the mucus causing congestion. Healthy Children recommends that your lay her face-down across your knees and gently tap the middle of her back. You can also sit her up on your lap and lean her forward while gently tapping her back. This will help her to effectively cough up the mucus that is making her sick. Babycenter states that many cough and cold medications are ineffective and dangerous for babies, so be sure to ask your baby’s doctor about cough remedies. Although honey can be soothing for a throat that’s sore from coughing, honey should not be given to babies under the age of 1 year. Avoid giving your baby cough drops as well, as they are a choking hazard. If your baby is under 3 months of age or her cough does not improve after one week, call her doctor. Babycenter states that you should also consult a doctor if she has a fever, seems to have trouble breathing or is wheezing.